A new business growth strategies and coaching site has launched, called Start Launch Grow. It is designed to help entrepreneurs and startups achieve success online. Start Launch Grow, a Sudbury, MA based business coaching service, has launched a new site offering a variety of ways to help startups achieve success online. The site was designed to provide powerful growth strategies for businesses that want to bring new ideas to life. The site explains that with Start Launch Grow, businesses in any niche can get out of the rat race and achieve success. The custom guidance, lessons, and business plans are designed to help entrepreneurs start, build and launch their dream business. Many business owners rush into the creation of a new site without thinking about where they might be going wrong. By winging it in this way, they don’t think about a business plan or how they can strategise their success. This is one of the reasons that a lot of new businesses fail. In fact, the latest research shows that 8 out of 10 new businesses fail and part of this is down to poor planning. In order to create a successful business plan, clients don’t need to spend ages jotting everything down and there are no complex predictions or math equations needed. 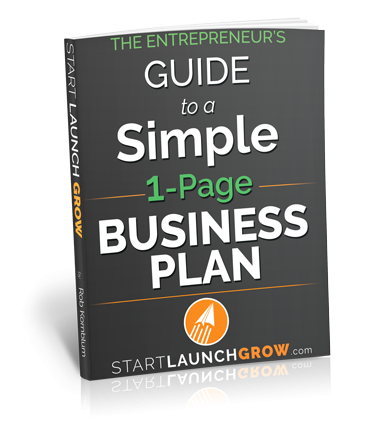 With Start Launch Grow, clients can get their hands on a simple one page business plan that can help them to get the best results for their business. The site is run by Rob Kornblum, who started the site to help entrepreneurs starting out. Whether they are building as solo venture or a larger business, he offers advice, guidance and tools to help them succeed. Rob has spent his 25 year career building high-growth businesses and supporting entrepreneurs. He is a former venture capitalist and has been an executive in numerous high growth companies.